I looked up the specs, but didn't see a listing for pre outs, does it have an expanded pre ut section, or dies it match the mains? This﻿﻿ will come i﻿n the box with all accessories. Receiver has no issues- cosmetic or functional. This weigh﻿s about 8 pounds more than the new 800 series. The RZ line is like Onkyo’s Pioneer Elite line. Wifi and Buetoo﻿th. The﻿﻿ Onkyo TX-RZ800 has eight HDMI inputs for interfacin﻿g audio and video sources and the pass-through of 3D and 4K video sources. It is also HDCP 2.2 compliant, with dedicated HDMI ports. Other connec﻿tivity options include digital optical, digital coaxial, stereo RCA inputs, and more. These interfaces allow you to connect a wide vari﻿ety of sou﻿rce components. Its dual HDMI outputs allow you to connect to external displays. Onkyo also offers a free remote app for controlling your r﻿eceiver from a smartphone or tablet. 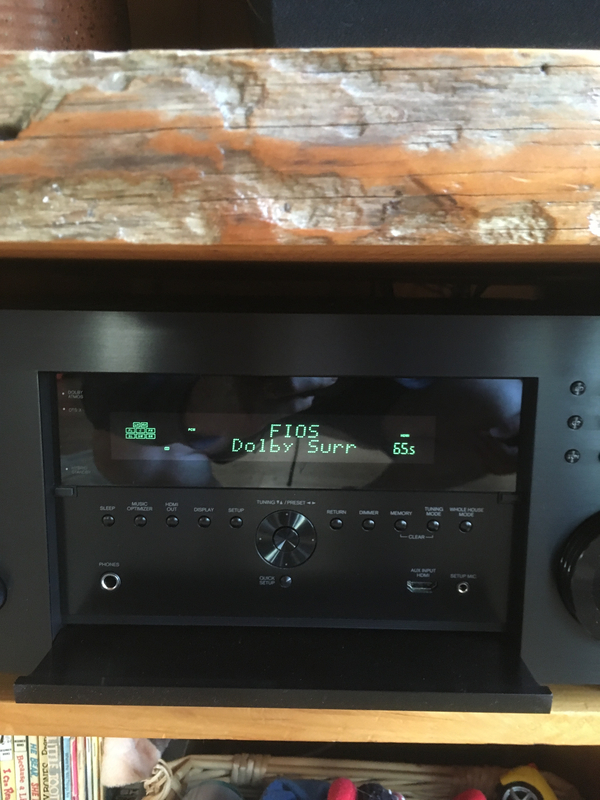 Built-in high-resolution audio support allows you to take advantage of dynamic surround sound formats like DTS-﻿HD Master Audio and Dolby TrueHD. The TX-RZ800 reproduces ultra-low-frequencies down to 5 Hz. Its high-current amplification system also enhances control of the speakers for accurate and dynamic sound. Wide Range Amp Technology (WRAT) prevents phase shifting by pushing the roll-off point higher than the listening level frequency. Amplifying sound without phase shift is engineered to create clear, focused, and realistic audio. Onkyo developed Vector Linear Shaping Circuitry (VLSC) to reassemble the signal in its original form following processing. Unlike conventional filters, VLSC removes pulse noise generated in D/A conversion, allowing the sound wave to be reproduced with extremely high fidelity for a smooth analog signal. The signal's data is converted between sampling points and joined with analog vectors in real time to produce a smooth output wave form. The result is designed to be virtually noiseless and smooth while revealing the subtle nuances in music sources. The TX-RZ800 meets the demanding and rigorous performance guidelines for THX Select2 Plus certification. To achieve this, it has to pass 2,000 tests across 75 test categories, covering 14,000 data points. THX Select2 Plus is recommended for a screen-to-seat viewing distances of 10-12'. DTS:X is an object-based surround sound technology that includes height channels to deliver a fully-immersive listening experience. DTS:X provides listeners with flexibility, immersion, and interactivity. Unlike channel-based audio, you will be able to personalize your audio experience. For example, you can turn up just the dialog within a mix. DTS:X allows you to customize to your room layout as well as control dialog and dynamic range. This format combines a channel-based audio bed with object-oriented sound to place and move specific effects around the room. This is designed to create a realistic and captivating sonic atmosphere. Sound designers and artists are free to mix in a 3D space, steering effects through surround channels and adding a seamless overhead dimension with discrete height channels. Additionally, the Dolby surround up-mixer allows for your current channel-based content (that has not been mixed for Dolby Atmos) to be expanded to fill the flexible speaker layouts of a Dolby Atmos system. Please see the manufacturer's website for DTS:X availability. This receiver supports HDCP 2.2 compatibility. This HDMI specification offers an increase in bandwidth (up to 18 Gb/s) to support features such as 4K at 50/60 Hz (2160p), which offer 4-times the clarity of 1080p/60 Hz video resolution, and 4:4:4 color space. 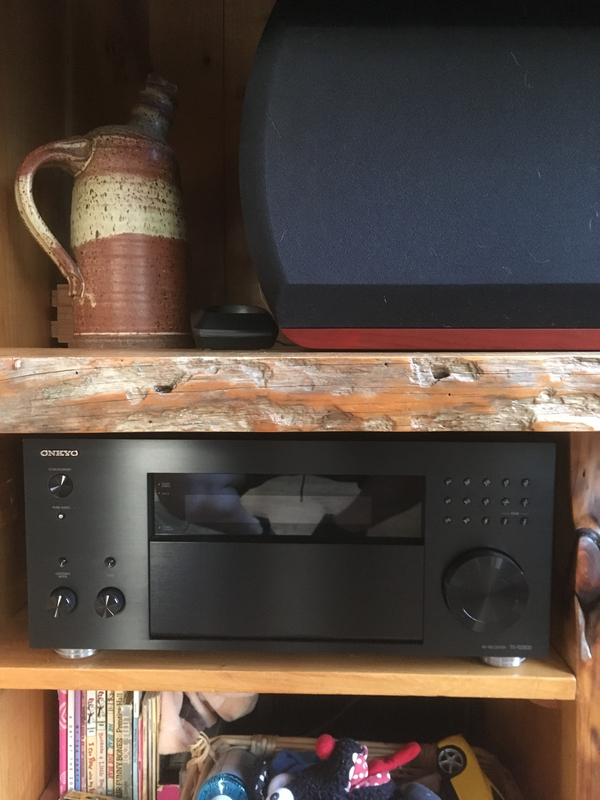 This Onkyo receiver also enables the transmission of High Dynamic Range (HDR) formats, and provides enhanced picture quality by simultaneously enabling greater detail for both the dark and bright parts of an image. The TX-RZ800 features powered zone 2 and zone 2/3 pre/line-outs for distributed audio playback, including Zone 2 digital audio and network audio output. You can control the audio content in the zones via the free remote app; play the same song in all zones using whole house mode; or enjoy a different song in each room. Furthermore, there is a Zone 2 HDMI output for HD video in a second Room, with Zone 2 HDMI supported on inputs 1, 2, 3, 4 & 5. Use the HDMI sub out to connect a second display in another room. This allows you to route 1080p content from the media players connected to your receiver and play it back on another TV with easy smartphone control. An RS232 input, an IR input, and a 12 Volt Trigger out give the TX-RZ800 an array of control capabilities. The TX-RZ800 has Bluetooth, AirPlay, and Wi-Fi technologies built-in. The free Onkyo Remote app puts a range of streaming options at your fingertips, from universal hi-res audio via network-attached devices to internet streaming services to music on your smartphone and tablet. You can also wirelessly stream audio from your Bluetooth sources directly to the receiver. It also comes loaded with Spotify, Pandora, SiriusXM Internet Radio, Slacker, and TuneIn. You can select a station and search for music available on these services via the Onkyo Remote app on your smart device. 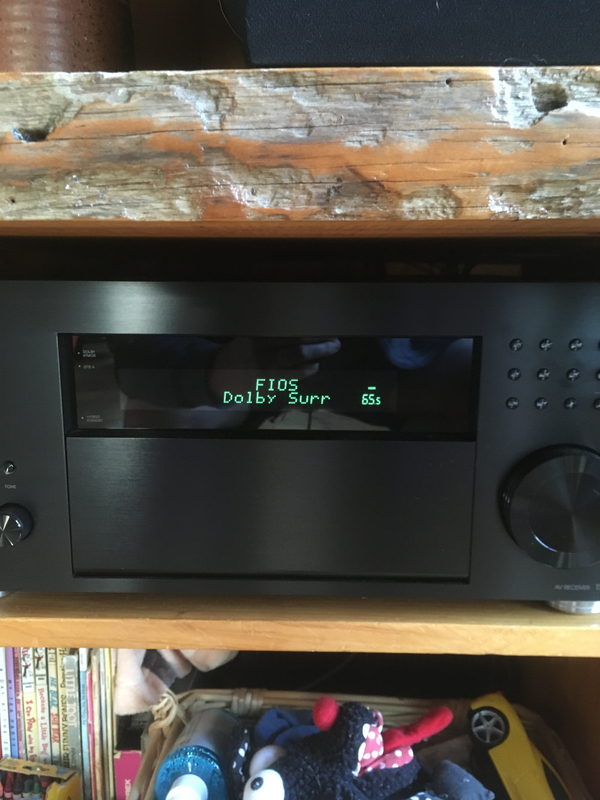 This receiver incorporates a premium-quality AK4458 digital-to-analog converter (DAC) from Asahi Kasei. This DAC implements unique low-distortion filtering technologies for clear sound, that's designed to unlock the potential of any audio format, including compressed, lossless, and hi-res audio (MP3, WMA, WMA Lossless, FLAC, WAV, Ogg Vorbis, AAC, Apple Lossless, DSD 5.6 MHz, LPCM, and Dolby TrueHD). Nice avr for the money! Shouldn't last too long. Really wish I was ready to buy and AVR for the bar. but that's not happening until mid to late summer now. GLWS. Great AVR for the money. "Some people find it easier to be conceited rather than correct."